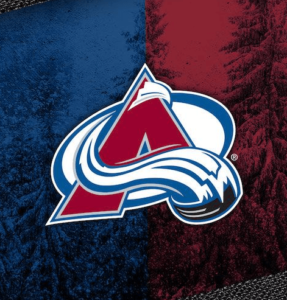 The Colorado Avalanche is an ice hockey team in Denver, Colorado. They are also members of the Central Division of the Western Conference of the National Hockey League (NHL). 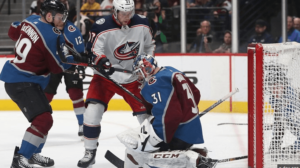 Avalanche is the only team in their division that is not located in the Central Time Zone but the Mountain Time Zone After they had won two cups and made the playoffs in all of their ten seasons, the team has slowed down on their wave of destruction. The hockey team made the playoffs three times in the past ten years. Moreover, they have one playoff sequence win against the Wild in 2005-2006. The team’s early days were magnificent. The arrival of Patrick Roy created a challenger, and the Avalanche became the only NHL team to win the Stanley Cup in their first season. This took place when they moved to a new town. Colorado has been stuck on mediocre in a big way for a few years. They won 39 games two years in a row and missed the playoffs. Joe Sakic, Avalanche President, and coach Patrick Roy are aggressive in making moves to advance and get back to the playoffs. However, there are no wins to show as of yet. It is work in progress. The team hasn’t been able to make it to the playoffs in back to back seasons for over a decade. While Colorado Avalanche is getting better, so is the rest of the west. This makes it hard for Avalanche to make it to the playoffs. Without the skill to scoring big in the draft, they will have to make all the right moves and also trade for the precise players. Obviously, Roy and Joe Sakic knows what champions look like. Even so, will they be able to bring the cup to Colorado? The Wild had beaten them out of a playoff spot with five points and last year with 87. We can only hope that the team will be able to bounce back and make a great comeback!